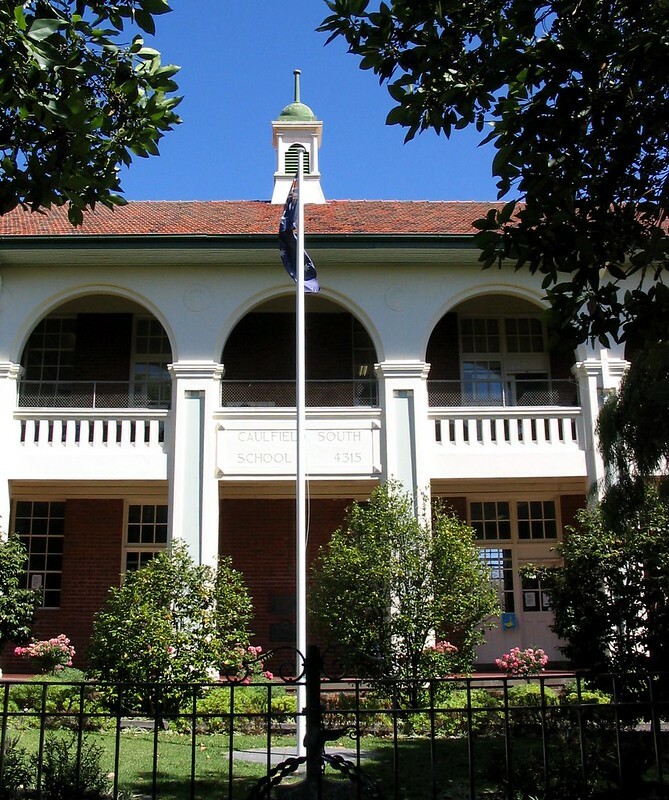 The serene setting of Caulfield South Primary School, where my kids went. Like many schools of that era, the original main building is lovely, and conceals the portable classrooms out the back. 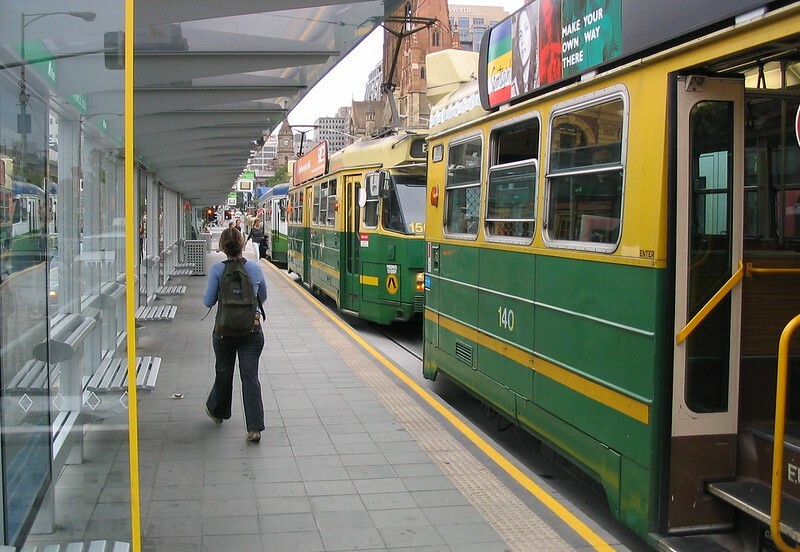 The old Elizabeth Street tram stop on Collins Street, westbound. It’s not hard to see why they’ve rebuilt these stops into platform stops, for safety and to speed up loading, as well as providing accessible stops — though some of the old safety zones still exist, particularly on William Street and Latrobe Street. 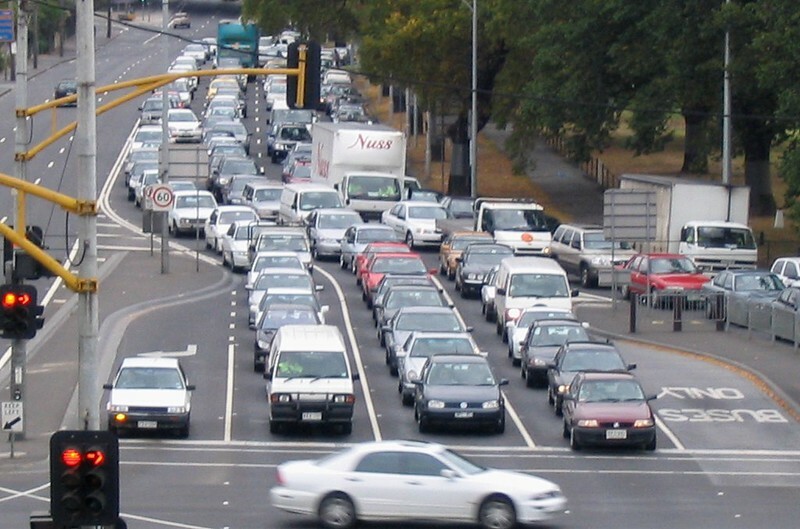 Still one of my best photos of Punt Road traffic, taken from Richmond Station above. Also a reminder that they often call for road expansion to help freight move more efficiently, but the bulk of traffic on the road is single-person cars. 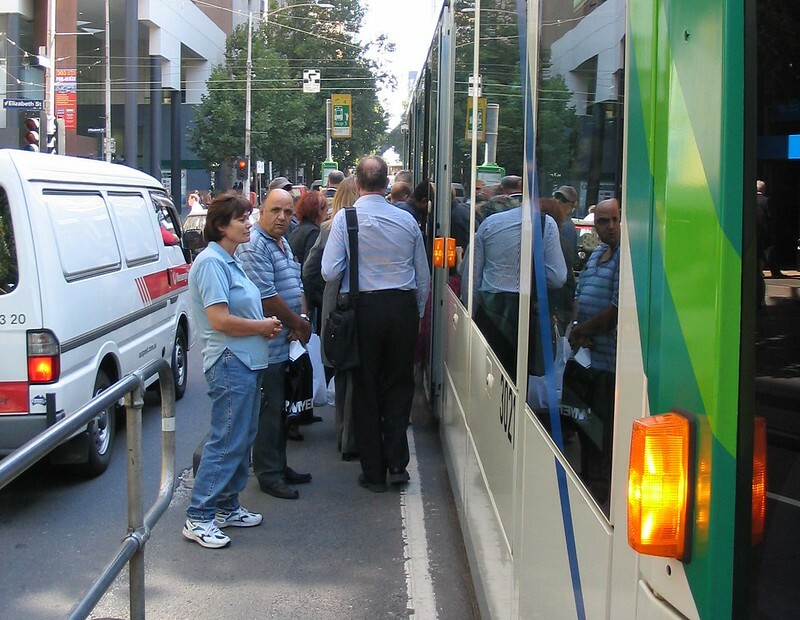 Trams queued at the Swanston Street superstop outside Flinders Street Station. Despite it being almost five years since privatisation, there were still quite a few trams in The Met green livery, though at the front of the queue is one in the M>Tram colours… M>Tram by this point had actually pulled out, and in April would be taken over by Yarra Trams. 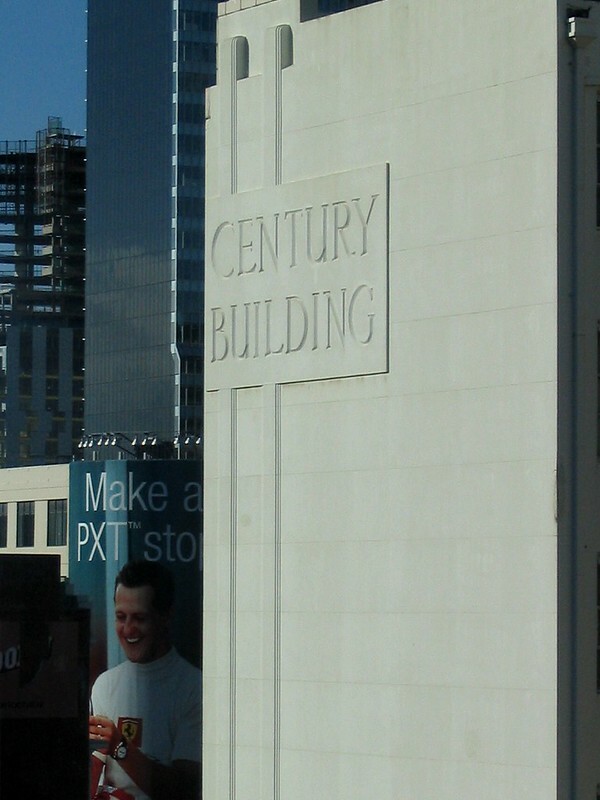 A monolith of art deco in the foreground, while in the background is Michael Schumacher on the big Bourke/Swanston billboard, advertising the Grand Prix or mobile phones or something. Further back a building is under construction — it might be the BHP Billiton headquarters on Lonsdale Street? I think this photo was taken out the back of a Collins Street building where I worked at the time. 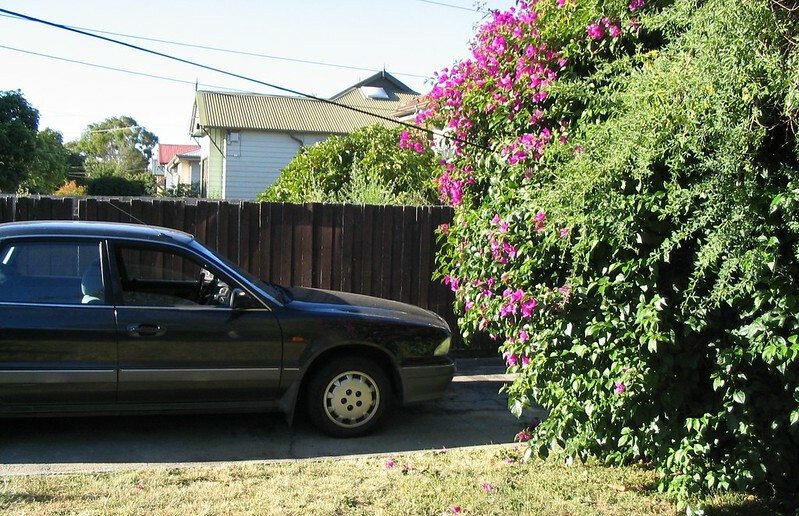 My old “bathtub on wheels” Magna in the driveway in Carnegie, the day the out-of-control bush at the front of my house decided to pull down the telephone cable. At least, I think it was the telephone… hopefully not the power. 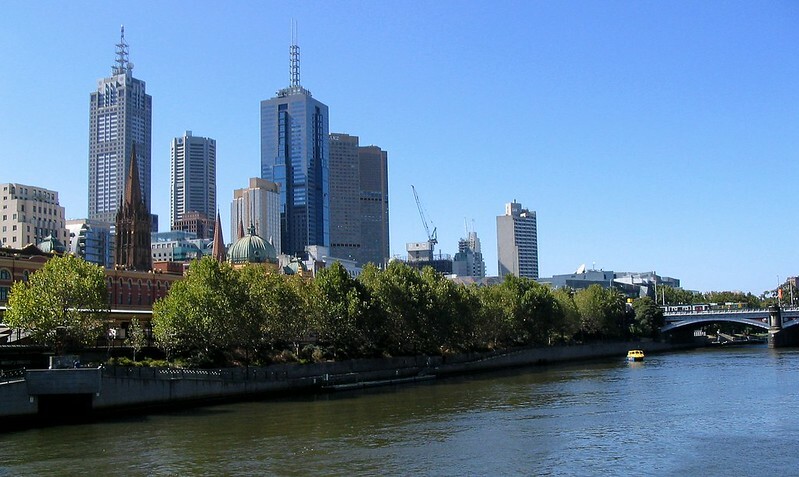 Melbourne city skyline, this time seen from the river. A few buildings going up in the background. 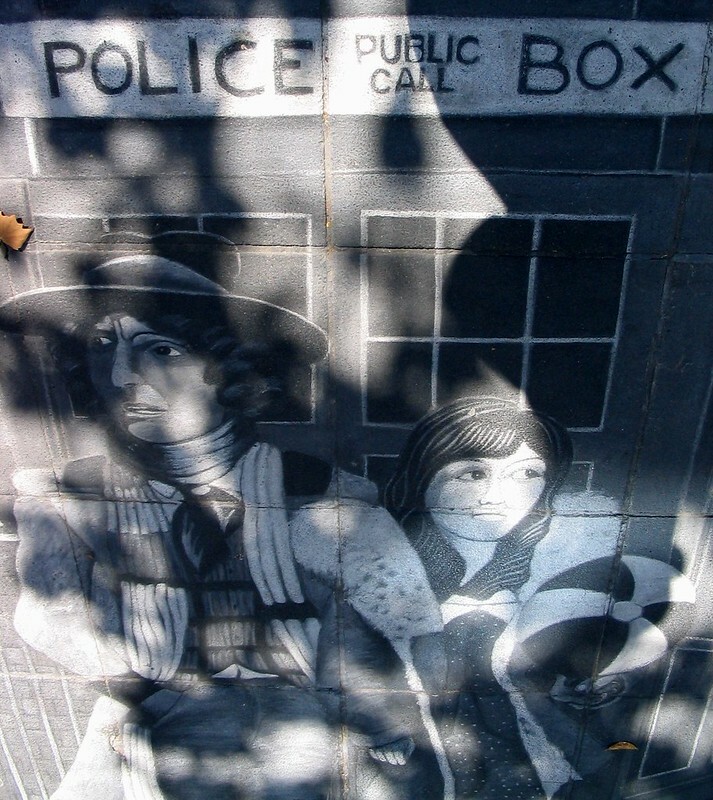 I posted about this at the time, but down at Southbank for a while was this chalk art of Doctor Who, including portraits of the first eight Doctors. The new series had just been announced, and I think a few weeks later they added Christropher Eccleston to the work. ← Previous Previous post: The Dandenong line upgrade: What’s included, what’s missing? Make a PXT stop ? I wonder what PXT is ! Google and Wikipedia leave me none the wiser. Enno, maybe PXT stop is euphemism for toilet stop? No sure. PXT is Vodafone’s marketing term for MMS/picture text messages.